Ayahuasca – a mind-blowing experience! You have to be brave to take Ayahuasca because of what you may face. Visions, hallucinations and vomiting are all part of it – it literally cleans you from the inside out. But whether your experience after drinking Ayahuasca is scarey or not, depends on how many demons you have to purge out of your mind, body and soul. You may face all sorts of past trauma, self-destructive beliefs, or emotions. One thing is for sure though: the end result is always positive. Now I am not a kook, or a recreational drug-taker, but what convinced me to do it was an interesting National Geographic article about Ayahuasca on the internet. It turned out to be the most mind-blowing, fascinating and beautiful experience of my life. I had fasted all day to prepare myself for the ceremony that night. Myself, 3 shamans, and Angel my translator were seated on cushions, with vomit buckets in front of us. The shamans puffed away on jungle pipes, preparing themselves for the long night ahead. 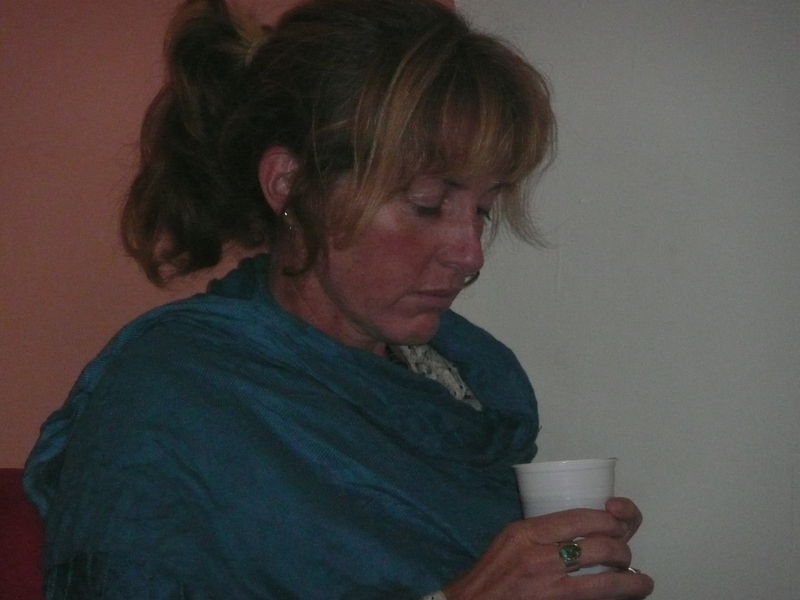 I was given a cup of Ayahuasca – disgusting, brown, fermented sludge, which I gulped down very reluctantly. Lights were turned out and the shamans started to sing icaros (ancient spirit songs) to me. Their voices vibrated, reaching high or low notes effortlessly. Each voice sounded like at least two people – truly beautiful to listen to, they sounded like angels. I could feel myself float off to another realm, their voices carrying me like a drifting feather to another world. 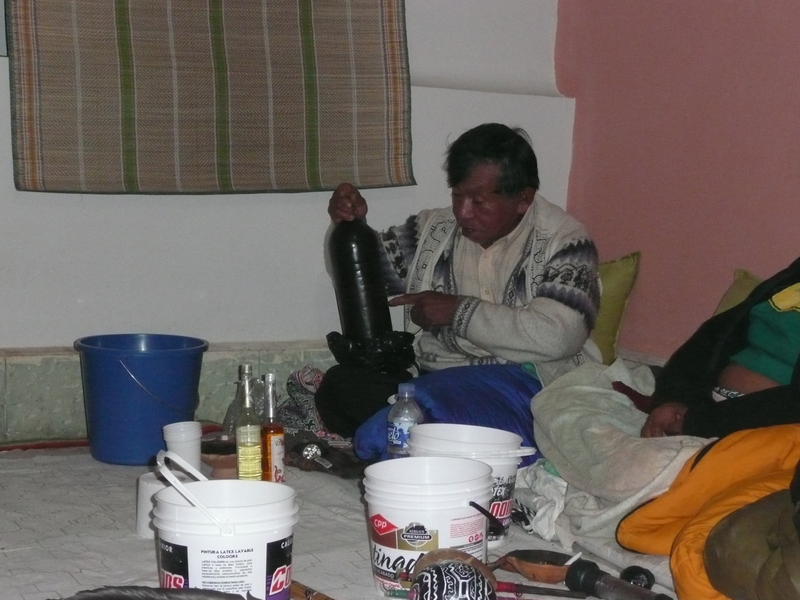 After about 20 minutes I vomited up the Ayahuasca, which is part of the bodily cleansing. In some strange way it felt good to get it out of me, all sorts of toxins seemed to come out. I started to have trouble breathing. I am not asthmatic, but have suffered odd stress-related breathing difficulty in the past couple of years. The shamans told me it would pass. Twenty minutes later it was gone. My lungs amazingly felt 10 times bigger and I was gulping deep breaths. Eventually I began to hallucinate, seeing fluorescent colours and cartoon-like insects swirling around me. I watched them as they closed in on me, trying to suppress me, constricting my body. I wasn’t sure what to do, so I asked. I got the message back that it was negative energy attached to me, and to flick it off. I did, and it all disappeared. The shamans believe negative energies are actually spirits who attach themselves to you to create trouble. Then the visions started. People and events came into my mind, things that had happened in my past that I needed to make peace with. In my mind I would ask questions – why this or that happened, why this person had been in my life. For every question I asked, I got a very clear, precise message back. It was like having a direct phoneline to God. Anything I asked about my past, present or future, I was advised on. 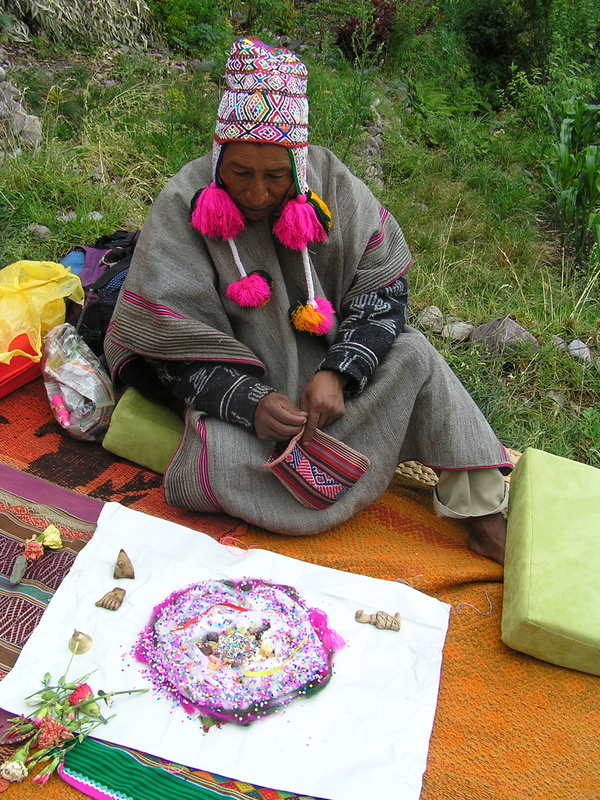 The whole ceremony lasted around 8 hours, with the shamans taking turns to sing to me as I worked though my past. I was visited by deceased friends, I found answers to many questions, and I felt an intense bliss. Now, several weeks later I still feel the positivity and relief of old baggage gone. I feel privileged to have been part of an ancient ceremony and to have listened to the amazing, beautiful icaros, and I know I will go back to do another ceremony to open my mind to bigger things.